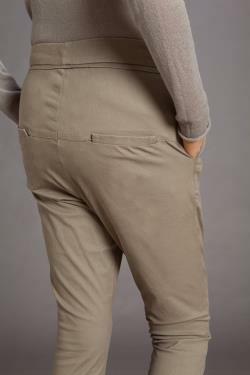 Beautifully designed diagonal waistband that creates a well fitted high waist pants. Two pockets at the sides, 2 pockets at the back. Size 36 / us 6 / uk 8. Waist: fits waist around 29.9 76 cm. Hips: fits hips around 37 / 94 cm. Length: 40.1 / 102 cm. Size 38 / us 8 / uk 10. Waist: fits waist around 31.4 80 cm. Hips: fits hips around 38.5 / 98 cm. Length: 40.5 / 103 cm. Size 40 / us 10 / uk 12. Waist: fits waist around 33 84 cm. Hips: fits hips around 40.1 /102 cm. Length: 40.9 / 104 cm. Size 42 / us 12 / uk 14. Waist: fits waist around 34.6 88 cm. Hips: fits hips around 41.7 / 106 cm. Length: 41.3 / 105 cm. You can see more items at my shop. Thank you for stopping by.